Immerse yourself in positive, practical and collaborative approaches to community led sustainability and resilience. A 1 year part time course based in Bristol. 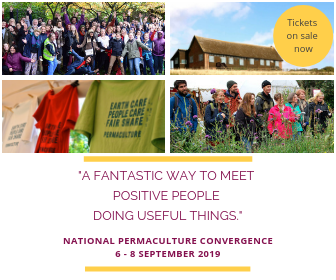 Permaculture Design, Organic Horticulture, Green Building, Energy, Soil and Ecology, Woodland Management, Creating Change, Community Engagement, Re-localisation and Group Dynamics. A challenging, dynamic and integrated curriculum led by some of the UK’s leading teachers and practitioners through lectures and discussions, practical work, group design projects, field trips and a roundhouse build. “The Practical Sustainability course changed my life. Years on, it’s still one of the best things I’ve ever done- I would definitely recommend it to anyone”. £2,895 Concessions and instalments available on request. 9.30am to 5.30pm Tues and Wed and 9.30am to 1pm Thursdays for 39 weeks following school term times. Sarah Pugh, Tony Wrench, Jyoti Fernandez, Caroline Aitkin, Mike Feingold, Dr Chris Johnstone, Ben Law, Tim Foster, Matt Dunwell, and more.